Cherokee Hills, Oklahoma City - Available now. 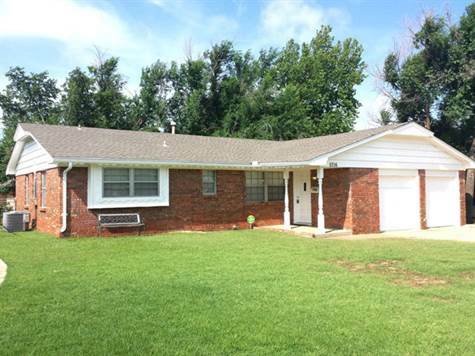 3 bedrooms, 1 ½ baths, 2 car garage, 1,061 sq. ft. (est. ), built in 1960 in the Cherokee Hills addition. New carpet & paint, stainless steel appliances, lots of storage. Fenced yard with a large covered patio. Putnam City Schools. Rent: $1,050 Deposit: $1,050 Pets - maybe $300-$500 Deposit per pet. Directions: From NW 63rd go N. on N. MacArthur Blvd, E on NW 66th St.